(1960) Richard Devon, Ron Kennedy, Roger Corman. 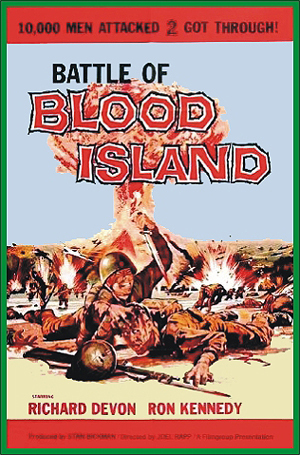 Two American soldiers are stranded on a Pacific Island swarming with Japs. They must survive until the war's end when they will be rescued by U.S. forces. A well-done, literate script. A Roger Corman Filmgroup release, Roger has a bit part as a soldier standing on top of a hill. From 16mm.